Written between 1900 and 1901, Suite No. 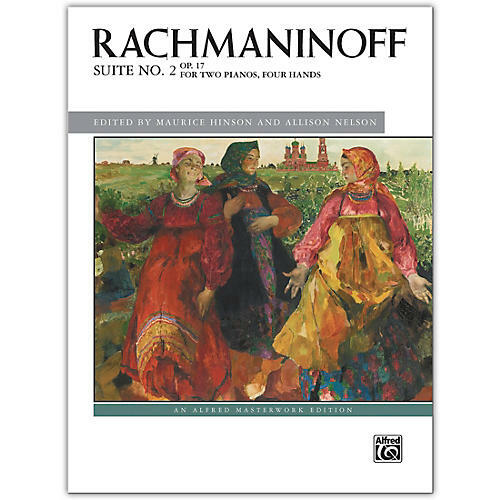 2 was premiered in 1901 by Rachmaninoff and Alexander Siloti. This virtuosic suite is orchestral in nature and contains four movements. The first movement serves as a march-like introduction, and the second and fourth movements are dances---a waltz and tarantella. Between the two dances is a slow third movement. Two copies required for performance.